Looking for private in-home or in-studio Acting classes? Our Marina del Rey teachers are ready to get you started. Find your teacher today! Check out some of our most popular teachers near Marina del Rey, CA including Los Angeles, Long Beach, Irvine, Glendale and Burbank. With a BA in Acting from London's Central School of Speech and Drama, Crystal has learned to use the nuts and bolts of technique to support freedom in artistic choice. With a focus on stage performance, she works with students to find their own unique approach to acting. Crystal brings a lifetime’s experience of professional musicianship to each of her lessons. Born into a family of musicians, she sang her first solo at age 2. She also benefits her students with an extraordinarily diverse musical background, having worked as a vocalist in gospel, country, musical theater, jazz, classical, rock, pop and soul styles. Her performing career has taken her from L.A. church meetings to London’s Houses of Parliament. ty world premiers and re-imagined classics. Most notably she played the lead role of Keely Smith in the big band jazz musical “Louis and Keely: Live At The Sahara” during its eight-month run at Westwood’s Geffen Playhouse. She also formed her own rock band, The Honeysuckle Jones Revival, with whom she performed her own songs all over Los Angeles. And she began working as a studio session vocalist, providing demo vocals for other songwriters, as well as arranging and performing back-up vocals for original artists, including Laura Roppe (currently in the Top Ten on Billboard’s Uncharted list of emerging artists.) Crystal played the lead role of Brooke in the new operatic rock musical “The Burning Opera LA” during its Los Angeles run in 2011 as well as providing ensemble vocals and playing piano and bass. She also performs holiday tunes from the Golden Age of American songwriting with musical quartet The Sleigh Belles. Crystal believes that music is serious business but that it should be fun. She encourages her students to play music they love, as well as expanding their musical knowledge. She is a firm believer in basics first and emphasizes theory and technique as the tools to support creativity and provide freedom, power and control. She believes effort beats talent every time and the student who practices consistently will see results, whatever their level of ability. Most of all, she believes we were all born to make music. After 3 or 6 months of consistent lesson attendance and practice, students will have a clear understanding of how their instrument works and how to care for it. They will be able to read basic music notation. They will be working toward clearly defined musical goals and they will have at least three performance pieces learned. I bring a small keyboard for vocal students with no piano, karaoke tracks and a digital recorder. I also bring a selection of games. Students are expected to purchase all necessary books and sheet music. Love how she teaches the mechanics of learning to sing properly such as breathing correctly and posture right from the start for a beginner. Fantastic instructor! Crystal has increased my daughterâs self-esteem and expressiveness through song. My daughter is now writing her own poetry and song lyrics, as well as being able to combat her once shyness quality. She loves to perform in front of others now and has a confidence level that amazes me, especially now that she is going into those âteenâ years. I think a lot of thanks needs to go to Crystal, for assisting my daughter in reaching her current creative level! Crystal is an amazing piano instructor. She is patient, understanding and dedicated. My daughter has learned so much from her. My daughterâs love for music has increased immensely since learning how to play the piano. This would never have been able to be accomplished without Crystalâs professional and caring teaching style. I have a Masters degree in Acting from the acclaimed Actors Studio Drama School in Manhattan, so I am well versed in most every acting technique; including Stanislavski, Strasberg, Meisner, Chekov, Hagen, Stella Adler, and beyond. I've taught acting to children, teens, and adults in the US and abroad since 2005 and my students are working! My main goal is to help you to develop your own set of tools for practicing the craft of acting, and to better understand your unique voice as an artist. Make sure to wear clothing you can move in during our sessions, and, most importantly, explore and just have fun! I have taught all ages, K-12 as well as adults into their 80's. Tanya is a wonderful teacher! She customized her lessons to fit your needs and we’ve made great progress after only three lessons! Looking forward to continuing! Tanya was so incredible and made me really feel comfortable! I've never had a dance lesson before and was pretty nervous about this but Tanya made me feel comfortable and I eventually relaxed and enjoyed myself! Emmy Award Winner David T. has over 33 years of acting experience in Film, TV and Stage. He is best known World-wide for his role on “The Young and the Restless” where he received 3 Emmy nominations and won his first Emmy for Outstanding Younger Actor in a Drama Series for his role as Billy Abbott. He has the experience and training to coach actors who are either beginning their journey with acting or are well experienced actors who are looking to bring more color and light to their work. so they will stand out in front of the casting director & make their tape unique from the rest. Acting is my passion, and I love to share that passion with others so they may reach their dreams of becoming a working actor. Film credits include Swing Kids with Christian Bail & Robert Shawn Lenard; Pleasantville with Reese Witherspoon & Toby McGuire, Stay Tuned with John Ritter along with Plain Cloths, Stepfather III, Walking Thunder, Roomates, and The Hazing to name a few. Television series roles include “Sessions,” produced by Billy Crystal, as well as “One Life to Live” as Paul Cramer, “Roommates” as Brady, “Worlds Apart,” “Buddies,” “Salute your Shorts,” “Good Behavior” as Cozy Boy, “Brand New Life” as Bart McCray, and “The Young and The Restless” as Billy Abbott. Recent top rated TV shows include NCIS and NCIS New Orleans and CSI Los Vegas. See Resume in Photo and Video as pdf to see more. My daughter really enjoyed working with David! Kind, Funny, easy to work with and having lots of fun! David is so helpful and really solidifies your preparation and approach. He’s able to tell you where you can improve and how you can get there. Plus, he’s very encouraging and will be more than happy to highlight what you are effectively doing in your acting. You get quality training from a fun and smart instructor! Thank you for the stellar coaching! This will be your FAVORITE class! If you want to have your own show, learn how to act natural on camera, be more confident when you give a speech, and develop a rich speaking voice, with this class we will make that happen :) I'm a professional award-winning actress with over 25 years of training (yep, since I was a kid! ), and I'm here to pass along that training to you. We will first find out what areas are your strengths, and then on eliminating all fears that have held you back from being the best you on stage/camera! Take lessons from an AWARD WINNING WORKING PERFORMER. Denise has over 15 years experience in public speaking, acting, modeling, and dance. Her full-time job is WORKING IN THE INDUSTRY. She will teach you what you REALLY need to know in order to succeed. Denise has been teaching private lessons since 2008 and is currently teaches in Hollywood. All classes can be taught online as well except dance which is taught at the world-renowned International Dance Academy. Denise is an award winning professional actress, and is also a hugely successful model. She started her own gogo dancing company in Canada from 2005-2011 and again in the USA in 2018. She has danced for events like EDC, ULTRA, and the World Olympics. trains today! In 2006 she received a degree in acting. As an expert in performing arts, Denise looks forward to helping new students achieve their goals. Her teaching style is personal and catered to you, making sure you feel confident to go for your dreams! Lessons will encourage you to step out of your comfort zone, but always in a nurturing safe environment. Work on YOUR goals and get one on one training made for YOU! Denise was absolutely amazing, full of energy, knowledgeable.. she made me feel comfortable and was excited in seeing me succeed.. beyond excited to have her as my acting coach .. most definitely recommed her to others! Denise is patient with me and helps me understand details. The training is easy to learn. Stephen enjoys helping actors go from average to engaging, with the experience to prepare an actor for a casting director's office or a TV or movie set. I have been a Screen Actor's Guild and AFTRA member since the 1980's and have real experience as a working actor. I have had a contract roles on soap operas, recurred 18 times as Dr. Beresford on Law & Order: Special Victims Unit, and have had numerous episodic TV roles. I usually coach actors for on-camera work, either with scripts they provide -- or I can help you find a scene or monologue that's right for you to work on. Steven really helped my get my work to "industry-level". My callback ratio is thru the roof, and I got signed with an agency after only a few months of working with him. While he isn't available very much, I always try to coach with Stephen for challenging projects. He always has good ideas for how to make my scenes more interesting or funny. Stephen is the best! He was able to turn sides I had for a short four line audition for an episodic into a taped audition that booked me the job. I try to book him for every important audition I have. I have worked with preschoolers through adults of all ages ranging in all levels, including beginners! My lessons are engaging, creative, beneficial, and a super great time! I enjoy helping my students reach their goals and beyond while having fun along the way. My favorite part about teaching is seeing students improve in ability and more importantly, confidence, and knowing that I was able to be a part of their process. My lessons focus on inspiring creativity, encouraging self-confidence, and cultivating personal achievement in everyone I work with. I am outgoing, friendly, fun, and I love to teach! 2) In Studio: 2 locations *addt'l. rental fee req'd-please inquire for more info. Semi-private and group lessons available *Please inquire for more info! I look forward to helping you grow! I have appeared on Parks and Recreation, The Disney Channel's So Random, Bring It On: Fight to the Finish, Fox Atomic’s The Comebacks, TruTV's Fake Off, and The Dance Network's Steady Mobbin’, and commercials for Tresemme, eHarmony, El Jimador, and HTV Network, amongst others. I have been in music videos for Cody Simpson, Bassnectar, Claude VonStroke and Bruno Furlan, Beats Antique, Lafa Taylor, Nash Overstreet, Japanese icon Namie Amuro, Ray Quinn from Britain’s Idol, and more. I have danced in Michelle Obama's “Let’s Move Burbank” Campaign, The Giffoni Film Festival, The Probowl, The Orange County Film Festival, KROQ Radio, Coachella Music Festival, The Wallis Annenberg Center for the Performing Arts, The American Cancer Society, Bettis Richardson on his international tour, and popular rock band Lifehouse. I am a former member of Unity LA, under the direction of Dancing with the Stars Emmy Winner, Tessandra Chavez, as well as the non-profit dance company, MusEffect- dedicated to raising awareness of social issues through performance. I have collaborated with distinguished circus troupes such as The Lucent Dossier Experience, Zen Arts, Cirque Berzerk, and others, with whom I continue to perform internationally. Jordan is an amazing teacher!!! She is so knowledgeable, dedicated, and really cares about her students! She comes up with a personal plan based on exactly what that individual student needs! I’ve improved so much and would definitely recommend her! Jordan is amazing, she's creative, she thinks about the children, and she explains the dance moves just how we need them explained. In my first class with Jordan, I learned so much!! I am an experienced actor and have professional experience reading, auditioning and on set. I'm easy going and lessons are customized and catered to the needs/goals of each student. Cesar has been teaching private lessons since 2015 and is currently available to teach lessons at your home, at his home, and online. Cesar has helped students find their self-worth, purpose in life, get rid of fear that may be holding them back and how to have a "go-getter" attitude. Cesar received his training at Udemy Academy in 2017 where he received a certification in life coaching. As an expert in his field, Cesar looks forward to helping new students achieve their goals. Cesar is extremely passionate about encouraging you to be aware and opened minded. He is very knowledgeable and enjoys sharing that with others. Cesar welcomed me into his home and immediately had me more aware than I’ve ever been. He’s awesome! Making this a priority. One of the best things I could have done for myself. Thank you for being so kind. Appreciate it. C is the real deal. Knows what he’s talking about as he’s applying his own practice to his own life. Definitely applying what he’s recommended. New year is around the corner and I’m more ready than ever. Thank you! Learn the techniques that I learned at THE JUILLIARD SCHOOL. I have worked on screen with Mathew Mcconaughey, Woody Harrelson, Michael Shannon, Amy Schumer, Zooey Dechanel, Michelle Monaghan, Jamie Bell, etc. I’ve originated numerous roles in Obie and Lortell award winning and Pulitzer nominated Off-Broadway plays under some of the best directors including TONY award winner, David Cromer. Since 2012 I’ve had the great pleasure of coaching and teaching actors of all levels. This is training for people serious about taking their acting to the next level. Whether you’re starting out and looking to establish a sturdy base of the correct fundamentals, or you’re looking to explore every crevice of a scene for that screen test, these tools will help you unearth the truth of every moment that you portray. I am a professional actor working in stage, film, and tv. I received my BFA in drama from The Juilliard School in NYC. In acting we seek out a very simple thing that is shrouded in an utterly complex set of circumstances, a moment of truth. My students develop a toolbox of classical training techniques; from scene study to voice and speech, which we work on putting into practice with practical grounding mental insights that come from years of experience employing this training in the acting industry. ey Knight. I've appeared in guest star roles on True Detective, Inside Amy Schumer, ER, The Path, Law and Order, and played a recurring guest star role on Turn: Washington's Spies on AMC. I love the art of storytelling, one of our oldest human traditions. I love the excavation of a piece, finding it's spine, and the delicate elegance of bringing it to life. I hope to share that love of the art form with you. I’ve watched Mr. Beitzel give everything from full, in-depth lessons to small morsels of advice that change a performance entirely. Every time I’ve been impressed with his eye for the truth and the ease/effectiveness with which he conveys what he sees to the actor. He takes his time, he cares, and above all he loves the craft of acting. Rob has an ability to get to the heart of what a scene is truly about and work with actors on how best to incorporate themselves into their character. Rob knows how to talk to actors in a way that is understandable and relatable, and organically helps them achieve a higher level of acting. He finds what techniques and triggers work best for you - maximizing your potential in the most efficient manner. He is an astute judge of character and has a very good sense of what will work best in a scene. As a Casting Director I have sent many actors to Rob over the years and have always been impressed with the progress once rob has started working with them. With my background with The Method as a Lifetime Member of The Actor's Studio and Meisner training at The New York Neighborhood Playhouse, I combine both techniques to help the actor bring his or her unique voice to the character. The focus is on actively listening to the other actor and living truthfully under the given imaginary circumstances. I am an award winning actor, writer and producer. I am a Lifetime Member of the Actor's Studio and was recently a series regular on a Fox Pilot from the creators of "It's Always Sunny in Philadelphia". I have appeared in over 40 national commercials and been the voice of many campaigns including Taco Bell, Kawasaki, Pennzoil and Hyundai. I have had appeared as a guest star on TV, most recently in NCIS and Brooklyn 99. Cops" was nominated for Best Comedy and Best Actor at The Vancouver Web-Fest. I am currently developing a few shows with Philly as the backdrop. Most recently we are in post-production with a half-hour dark comedy called "Kensington" set in Philly. Kensington will be screening in the Beverly Hills Film Festival in April 2019. I work with actors and writers on finding their unique voice in both their auditions and their writing. I also coach actors on specific Voiceover and Commercial technique. Can't find a teacher in Marina del Rey, CA? The average cost of 60-minute acting lessons in Marina del Rey is $127. While the exact cost will vary depending on the teacher, type of lesson, and your location, you should expect to spend anywhere between $72 and $182 per hour. For the best experience, we typically recommend 60-minute acting lessons. However, students looking for a more affordable option may want to consider a shorter lesson length of 45 or 30 minutes. On average, 45-minute acting lessons are 16% less expensive at $107, and 30-minute lessons cost 34% less at $85. Curious how much acting lessons cost in your area? Do a quick search to get local prices for the best acting teachers near Marina del Rey. Students are raving about their Acting instructors on TakeLessons. Check out some of these recent reviews. scenes. I feel much more connected to the material and being alive within the moment"
Los Angeles, CA teacher: David T.
MFA in Acting. In my undergrad programme, I absolutely detested every Tuesday and Friday when we had Movement and Voice...but all that changed when Alex became my teacher for these subjects. Suddenly these were my favourite subjects. She made me actually look forward to going to class at 9am. I looked forward to what I was going to learn next from her. She was so attentive to ALL her students, no matter your level. She always found time to work with you in whatever you were struggling with. She really truly cared about us. It was unlike anything I'd experienced with any other teacher I'd have ever. At one point, I was victim to some intimidation from another student in my class. Alex was the first person I confided in and she guided me through what I should do and how I should handle it, she was completely there for me, even allowing me to call her past 10pm to calm me down after one particularly bad encounter with said student. Her lessons are prepared, structured and completely engaging. Somehow she is able to detect exactly what you personally need to work on and makes sure you are offered the most appropriate advice that best suits your personal needs. I can't even quite express how much I have learnt from her in the short four months that she was my teacher. She has exposed me to so many different techniques and exercises which, through her guidance, afforded me the opportunity to choose what worked for me. If there is one thing that you cannot deny about Alex, she genuinely cares about her students, sometime to the detriment of her own life. She is an extraordinary teacher and an even more exceptional woman. As cliche as this is, she inspires me to not only be a better actor, but to just be a better person." Los Angeles, CA teacher: Alexandra W.
she can relate to them in commercials and she says Jan is easy to work with!" Los Angeles, CA teacher: Jan L.
"David is very patient and sensitive to his clients... I love his creative ideas, he has help me immensely...:)"
"Zach is a great instructor! He’s very encouraging & gave me great advice/direction as I begin film school. Would definitely recommend!" Los Angeles, CA teacher: Zach B.
is a patient and kind teacher and makes sure I am learning before moving on to the next lesson." Los Angeles, CA teacher: Gabriel B.
t just after one coaching session. If you are looking for a true professional that will take your acting skills to the next level, David will get you to where you need to go! I'm so happy to have David as my coach and I know you will too:)"
oducer and to an award winning director, which makes him an unbelievable resource and teacher. I always look forward to our time together because I feel supported, heard, seen and never judged. He is always one step ahead which allows for very productive sessions. I leave our sessions feeling confident and fully prepared for whatever may come my way in auditions. I've worked with many people in this business and you do not come across people like him often. I feel incredibly grateful that I have Zach as a coach and resource. I cannot recommend him enough or give him higher praise." "Just had my first lesson. Excited for the rest!" Whether you're just starting out or a seasoned pro, check out the Acting articles on our blog. If you're heading to an audition, should you care about getting the part? 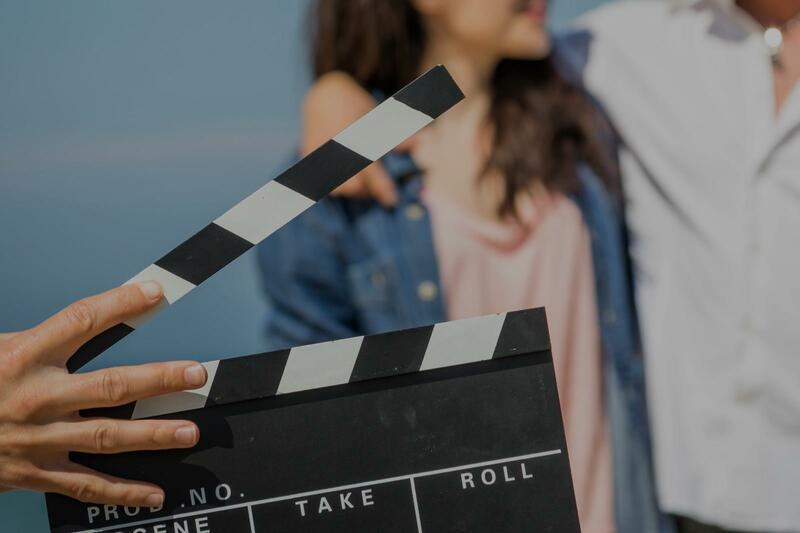 In the video below, Marietta acting teacher Erin B. shares some acting tips and why it might actually be better not to worry so much about the outcome of your next audition: Interested in Private Lessons? Search thousands of teachers for local and live, online lessons. Sign up for convenient, affordable private lessons today!